As the global recession continues to bite, more and more of us are discovering that our weekly shopping budget doesn’t stretch quite as far as it used to. And, as there is a general misconception that healthy foods are more expensive, it can be tempting to replace some of the more wholesome, high quality foods in our supermarket trolleys, with cheaper, processed ones. Yet while this might save some us some hard earned cash in the short term, it can store up problems for our health and wellbeing in the long term. In this article we’re going to show you how to take advantage of some of the finest foods nature has to offer, without breaking the bank. You’ll learn about the priceless benefits of superfoods, and in particular, five budget superfoods that will not only help save you money, they’ll also enable you to lose weight, obtain more energy and enjoy a wealth of additional health benefits in the process. UK eating habits have changed dramatically in recent decades. There has been a rise in the popularity of processed ‘fast foods’, which are packed with worthless calories and contain high volumes of saturated fats, bad sugars, artificial colourings, flavourings and preservatives. Industrial farming techniques, which primarily focus on producing larger and more cost effective crops, have caused a simultaneous reduction in the quality of our food. As a result, our foods now contain demonstrably fewer vitamins, minerals and other valuable nutrients than ever before. 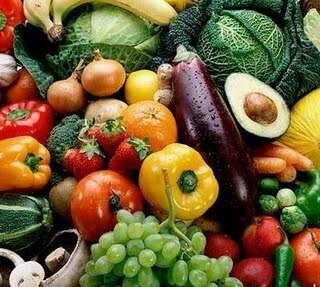 A study by the UK Medical Research Council revealed that vegetables for example, contain 49% less sodium, 16% less potassium, 24% less magnesium, 46% less calcium, 27% less iron and 76% less copper than they did fifty years ago. And did you know that, according to the National Diet and Nutrition Surveys (NDNS) conducted by the UK government, over 90 per cent of UK women currently have an iron intake below their recommended nutritional intake (RNI)? And that 50 per cent of UK men have a vitamin A intake below RNI? Or that an estimated 60 per cent of British adults and 31.1 per cent of children are overweight? So, how can you ensure that you and your family are getting the most out of your food, yet still avoid a costly shopping bill? Raw, organic superfoods are pure, natural foods, often sourced from some of the most remote, pristine corners of our planet. They are not only an incredibly delicious and nutritious addition to your daily diet, they also afford a seemingly infinite range of health benefits. And as superfoods boast such an exceptionally high nutritional content, yet are typically low in calories, they are just as suitable for those wanting to reduce their waistline as those wishing to slash their weekly shopping budget. The PAGB report, ‘Towards a Healthier Britain 2010’ reveals that by specifically choosing for superfoods or supplements which are high in beneficial nutrients, we can actively boost our vitamin and mineral intake by as much as 45%. And there are a number of things that you can do to ensure that your family enjoys all the benefits of superfoods on a budget. For example, only buying fresh superfoods such as fruits and vegetables when they are in season, means that not only are they significantly cheaper, they’re also at their absolute best. By purchasing your superfoods loose, you’ll avoid paying for costly packaging too. And every supermarket has a ‘reduced’ aisle, so keep your eyes peeled for organic superfoods which might look tired and limp, but can still make a delicious addition to soups or smoothies. Finally, there are a huge selection of exceptionally cost effective raw, organic superfoods that you can incorporate into your regular weekly shop without increasing your final bill. Raw chia seeds are packed with beneficial nutrients which can help delay the signs of aging, boost the immune system and balance blood sugar levels, making them an excellent choice for diabetics. These wonderfully versatile seeds are rich in vitamins, minerals, proteins, enzymes, carbohydrates, amino acids, fibre, antioxidants and omega-3 fatty acids. In fact, in an article entitled “New Study Explores Health Benefits With Chia” Dr. David Nieman, Director of the Human Performance Research Lab at the Appalachian State University in North Carolina, states that “chia seeds are the best plant source for omega-3 fatty acids”. They can be sprinkled liberally over breakfast cereals, soups, salads and sauces or you can try adding them to your favourite smoothies and shakes. Alternatively, soak them in water for a gel that provides the ideal base for deserts and biscuits or can be used to thicken tea. Raw cacao powder is an intensely delicious, energy rich superfood which, unlike processed chocolate, doesn’t contain refined sugars or dairy products. It’s simply overflowing with powerful antioxidants, vitamins, minerals, fibre, and essential fatty acids which encourage weight loss, boost energy, heighten libido and improve both mood and concentration. Raw cacao is also known to help prevent hardening of the arteries, heart disease and high blood pressure. This indulgent powder can be mixed into smoothies, nut milks, shakes and juices or used to prepare tempting desserts and home made chocolate bars, which are an ideal alternative to sugary snacks. Perfect for those who have a particularly sweet tooth and are watching their weight. Shelled hemps seeds boast a deliciously creamy, slightly nutty flavour, and are crammed with valuable nutrients including protein, vitamins and minerals that help boost our immunity and keep the heart, blood vessels, tissues, organs, cells and skin all unbelievably healthy. Hemp seeds are an incredibly versatile superfood that can be stirred directly into smoothies, shakes and lassis or scattered generously over soups and salads. You can also grind them to prepare tasty gluten-free cakes and breads or a delicate hemp milk which, for those who are lactose intolerant, is an ideal alternative to standard milk. Quinoa is a gluten free pseudo grain with a decidedly rich, buttery flavour, that is rich in natural dietary fibre and can aid healthy digestion, promote regular bowel movements and help combat obesity. Packed with an impressive selection of nutrients, including vitamins A, B1, B2, B3, B6. B11 (folic acid) and E, iron, potassium, calcium, magnesium, manganese, copper, zinc and phosphorus, it also contains all essential amino acids and a perfect balance of vegetable proteins. Quinoa seeds can be boiled in water and enjoyed in much the same way as rice, or added to soups, roasted and even fermented. An ideal superfood replacement for standard cereals and rice, especially for those suffering from digestive problems, diabetes or following a gluten free diet. Avocados are one of the most nutrient dense superfoods on our planet and are particularly rich in vitamins B6, C, D, riboflavin and manganese which help to strengthen our immune system. They are an excellent source of vitamins A and E, which are known to help prevent cancer, and are high in omega-3 which can also reduce the risk of heart disease. The extraordinarily high potassium content in avocados combats fatigue and depression too, whilst their large quantities of monounsaturated fat and vitamin E ensure a youthful skin and a healthy complexion. A perfect addition to salads, avocados can also be used to prepare a deliciously rich guacamole and are an ideal ingredient in mouth-watering soups, smoothies and even desserts. Look out for ‘ripen at home’ avocados as these are usually significantly cheaper and well worth the wait. The post Budget Superfoods – How To Get More Out of Your Food For Less appeared first on Superfood blog - Healthy, Rawfood Lifestyle.